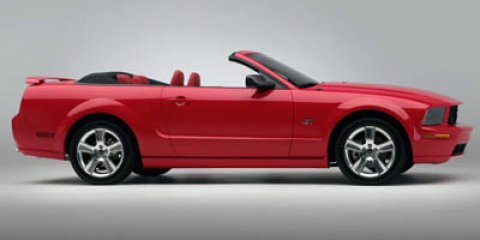 Absolutely stunning, this 2006 Ford Mustang GT Deluxe commands the road. Traction Control, Remote keyless entry, Rear spoiler. Variable intermittent windshield wipers, Traction control, Stainless steel dual exhaust system, Speed control, Side intrusion door beams, SecuriLock passive anti-theft system, Rear window defroster, Rear wheel drive, Rear stabilizer bar, Rear bench seat, Pwr windows w/one-touch up/down, Pwr vented 4-wheel disc brakes, Pwr rack & pinion steering, Pwr door locks, Premium AM/FM stereo w/CD player-inc: clock. Treat yourself- stop by Davis Moore Mazda located at 10603 E Kellogg Dr, Wichita, KS 67207 to make this car yours today!